Two piece medium height mounts. 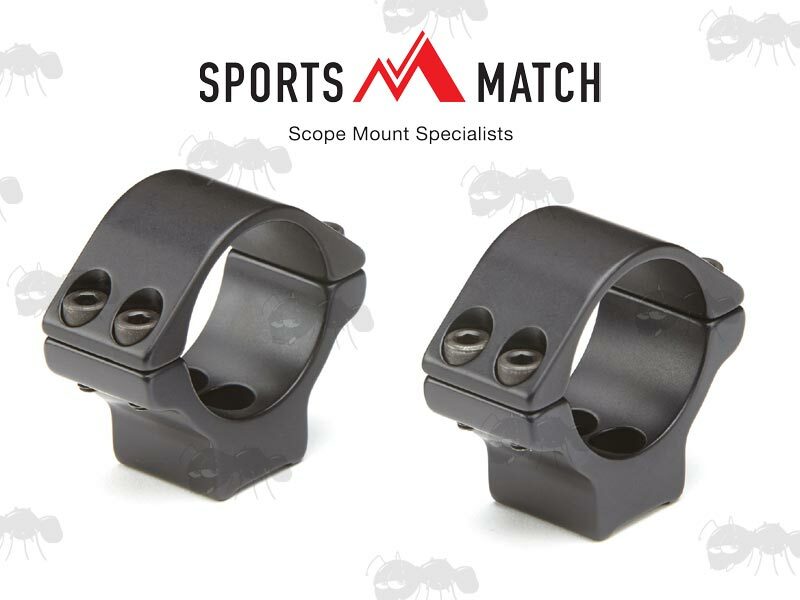 For 1 3/16 inch / 30mm diameter body tube rifle scopes. For scopes with up to 48mm diameter lens. 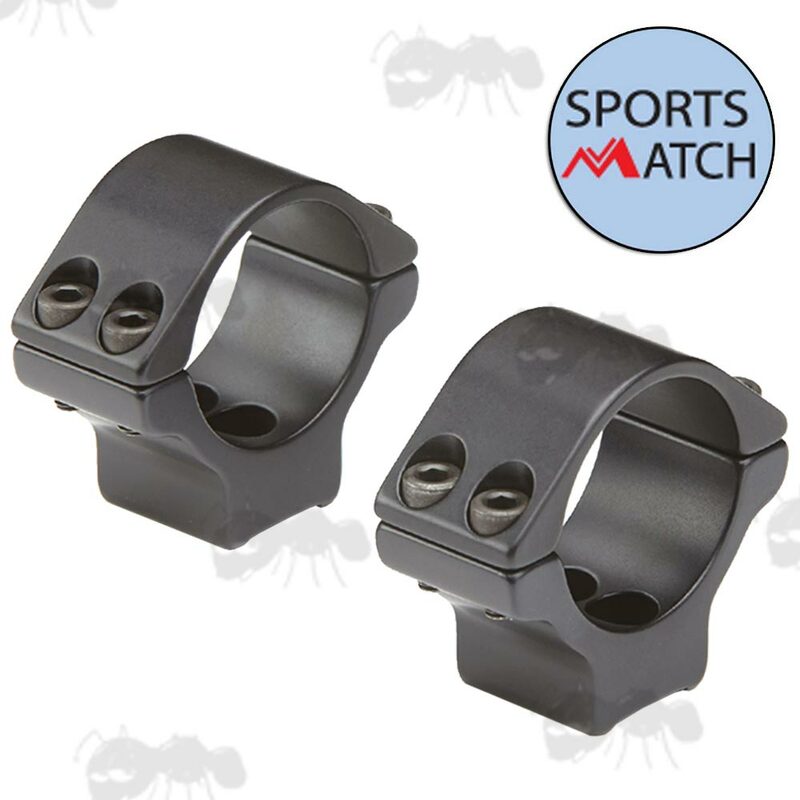 Double clamped, 21mm thick scope mounts for Theoben Rapid range of air rifle.